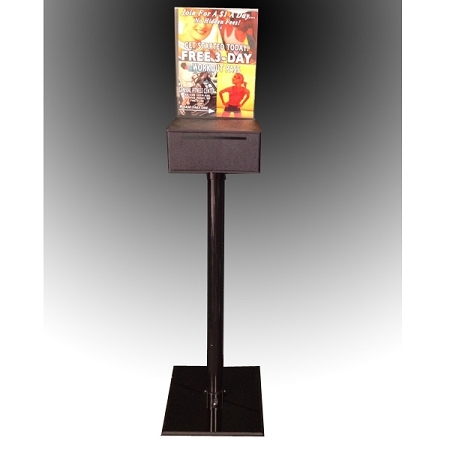 This is a smaller yet very versatile version of our floor standing boxes. 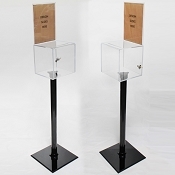 A floor standing ballot box or comment box such as this item will allow you plenty of options for different types of uses. 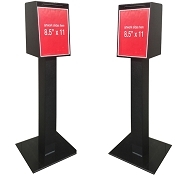 Floor standing contest boxes or ballot boxes can be placed in premium locations that would not normally allow a box because there is no counter space. 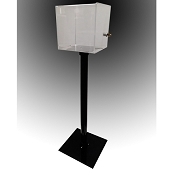 This floor standing box consists of a sturdy column and base plate with our box item id#2020. 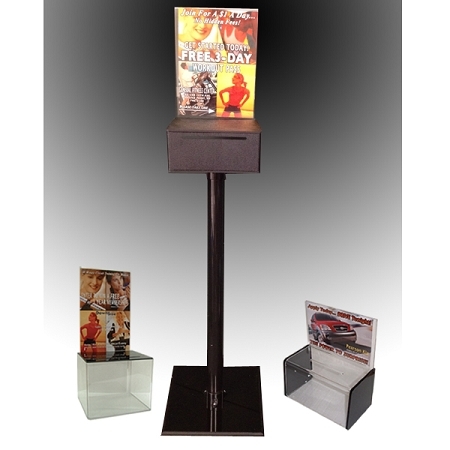 Therefore, this box can be used on a counter or table top for trade shows and conferences without the stand. 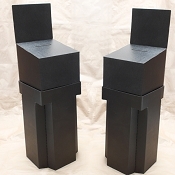 Box is made from durable black ABS plastic. Column is also made from durable black ABS plastic. Base plate made from 1/2" thick black acrylic plastic. Box Size: 8.75" wide x 8" deep (bottom) x 4.5" tall. Clear Display size: 8.5" wide x 11" tall. Slot Size: 5.5" wide x .25" tall. Total height of the 915 box to top of sign display is 44"